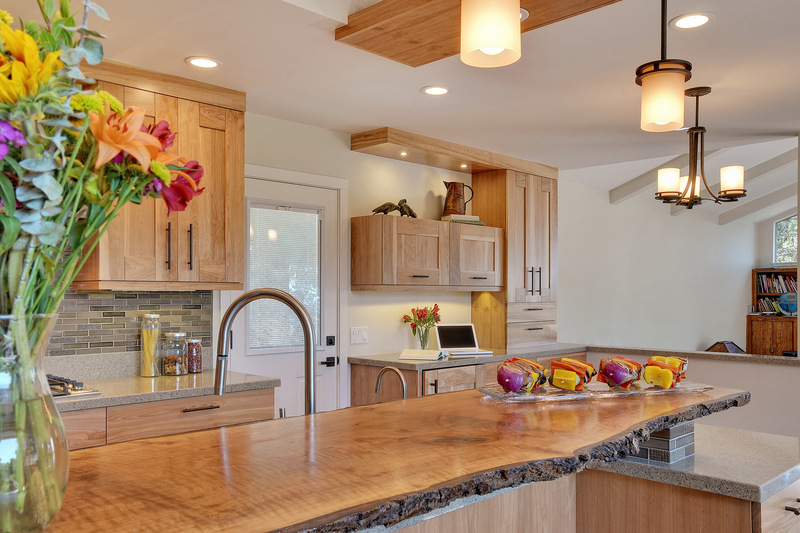 Located in the Saratoga foothills this project had a clear objective which was to feel natural and organic. 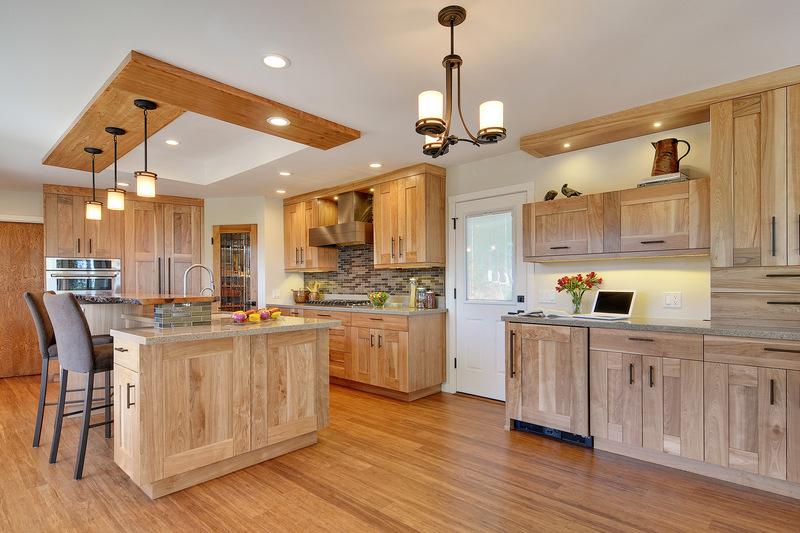 To achieve this we designed the kitchen using Custom Cabinetry, and specifying Select Clear Red Birch wood for the cabinetry in a natural finish. 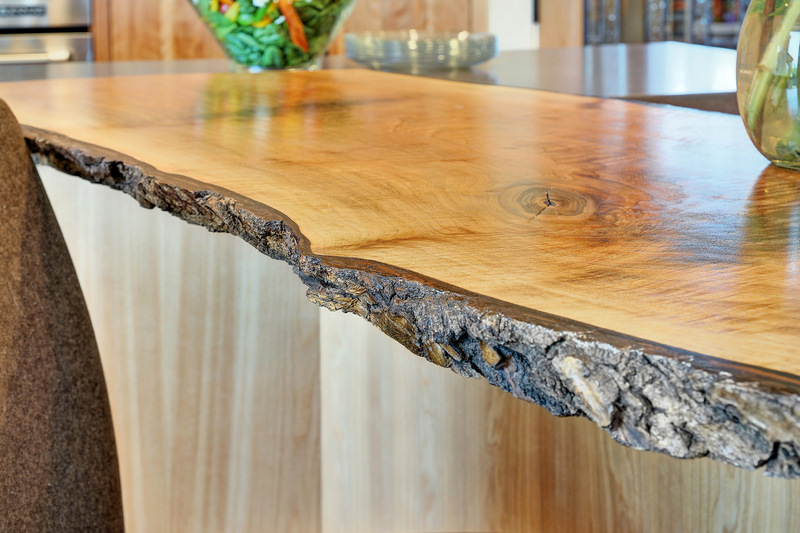 This allowed the natural grain and color of the wood to shine through. 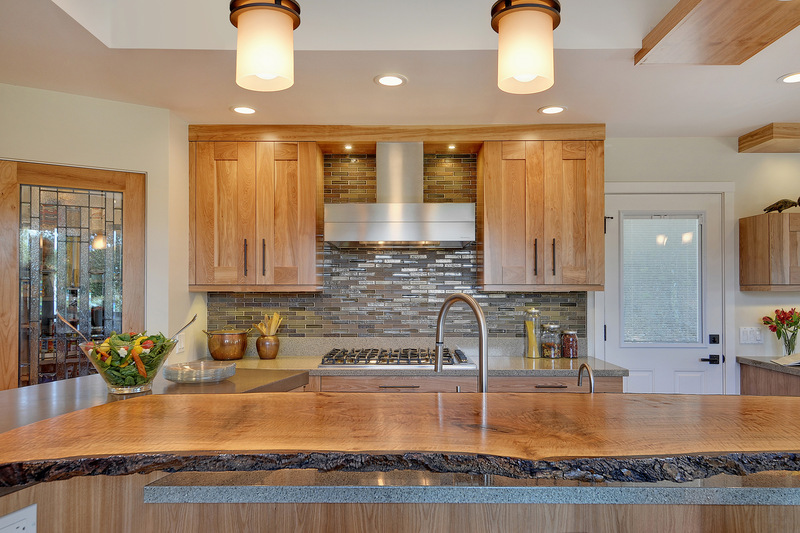 The convergence of three different Concrete, Quartz and Live Edge Wood countertop materials brings in a unique and memorable look and feel to this project. 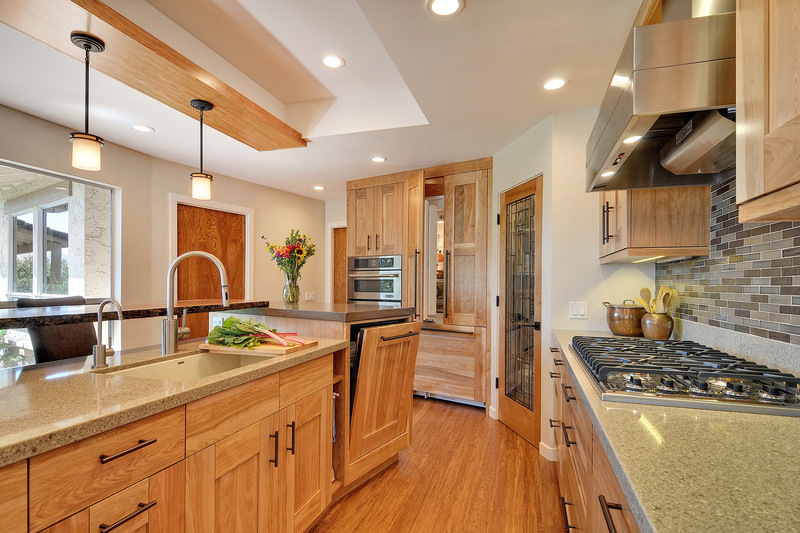 Other materials of interest is the hardwood flooring. Our client preferred to select environmentally responsible materials as possible without sacrificing the budget or design. The pre-finished Stranded Bamboo flooring material is made by ecotimber which proved to be a very hard material with a tough finish. 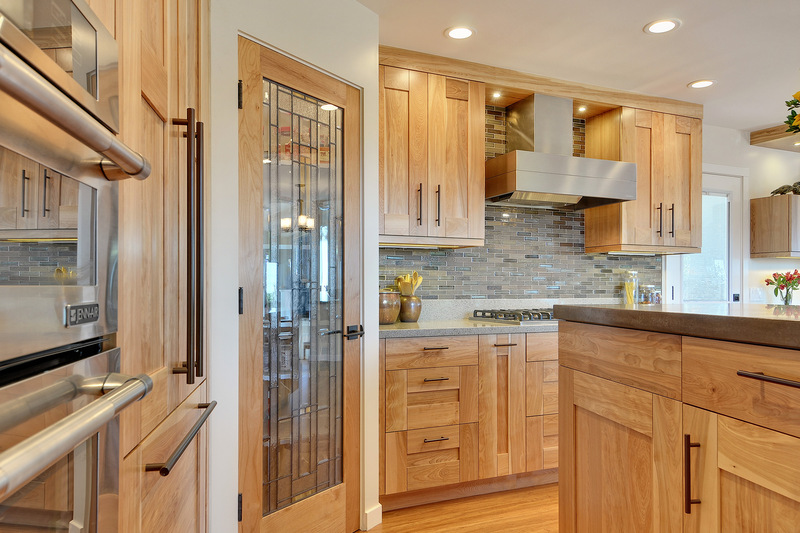 The creation of a corner walk-in pantry and integrating the existing recessed ceiling detail were practical solutions to a modest size kitchen.